What is a sensor housing? A sensor housing, also known as a process adaption, is a piece of hardware that allows a sensor to be connected in-line to a process tank or pipe. It can also allow a sensor to reach the desired depth in an open basin for measurement. What is a sensor housing used for? A sensor housing enables an analytical sensor to be installed in-line into a process (tank/pipe). The housing is to ensure the sensor is protected and reaches the desired depth for obtaining optimum analysis results. Various types of housing are available. Typically, a sensor housing can be applied to open basins, flow-through pipes, closed tanks, chemical reactors, bioreactors and fermentation vessels. What are the different types of sensor housings? Choosing the correct housing is crucial. The housing must ensure that the sensor is well protected and is able to provide representative measurements. 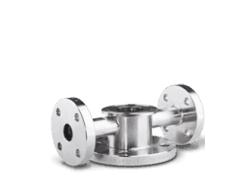 Stationary housings: The stationary sensor housings are installed statically in a vessel. They are used in sterile conditions and typically in applications which cover measurements of pH, dissolved oxygen, conductivity and turbidity. METTLER TOLEDO's stationary sensor housings are the InFit range. Retractable housings: With retractable sensor housings the measuring sensor can easily be inserted and withdrawn without interrupting the ongoing process. Typically, retractable housings are used in processes which tend to cause sensor contamination or which run over long periods of time. METTLER TOLEDO's retractable housings are the InTrac range. Flow-through housings: The flow-through sensor housings are designed for measuring points in pipes or a bypass. 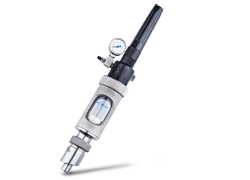 They allow continuous monitoring and direct insertion of the probe into the sample media, or through METTLER TOLEDO's InTrac or InFit housings. The flow-through sensor housings at METTLER TOLEDO are the InFlow range. Immersion housings: The immersion sensor housings are used in open vessels and channels. Their design allows sensor mounting and immersion into the media. METTLER TOLEDO's immersion housings are the InDip range. 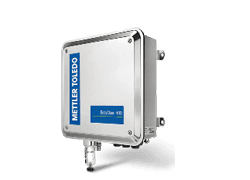 METTLER TOLEDO sensor housings offer the right solution to ensure production safety, reliability and for legislation requirements. What should you consider when selecting a sensor housing? International compliances e.g. ATEX/ FM approval to be installed in ex-classified area, USP Class VI compliance seals etc. And in many cases, a sensor protective cage is essential to protect the sensor tip from damage in high particle load samples. Can sensor cleaning and calibration be done in the sensor housing? The InTrac series of housing can be operated with METTLER TOLEDO EasyClean 150 or EasyClean 200 for programmable automatic sensor flushing. It also can be operated with EasyClean 400 for programmable automatic pH sensor cleaning and calibration. For InDip housings when a high dirt load is foreseen, operation with EasyClean 100 for programmable automatic sensor rinsing is possible. 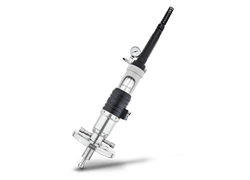 This reduces plant operator workload for performing manual sensor cleaning and calibration. Sensor cleaning is the routine maintenance that has to be performed on a sensor for it to work at its best. Why is sensor cleaning important? Efficient sensor cleaning is important as it prevents fouling of the sensor's diaphragm. Through sensor cleaning the lifespan of the sensor is substantially increased. Sensor cleaning is also important because it further enhances process control and safety, and reduces the maintenance burden. Automatic or manually triggered sensor maintenance allows staff to work on more important tasks. In addition, regular sensor cleaning and calibration ensures sensors perform at their best and last longer. How do you do sensor cleaning? Sensor cleaning is best done with METTLER TOLEDO's EasyClean series of automated cleaning systems, which meet the widest range of needs. What kinds of sensor cleaning devices are available? EasyClean 400X for hazardous areas for example in the chemical industry, which requires special equipment. Proven for sterile conditions and certified following to the EHEDG guidelines. User-friendly design allows sensor exchange at any time without compromising safety. Housings which allow continuous monitoring in pipes. For measurements in open vessels and effluents. Modular cleaning and calibration systems for longer sensor lifetime and true cost savings. Retractable housings are specially designed for use in a wide range of harsh industrial processes. Wetted parts are available in different materials, offering installation flexibility in many applications. 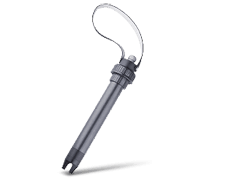 The intelligent sensor locking system prevents deployment of the insertion rod if no sensor is present. The easyclean systems are automation solutions proven in practice and safe for your process. They increase product yield, improve the sensor life while reducing maintenance costs and consumables at the same time. The easyclean systems can be easily integrated into your process. This video shows how the retractable sensor housings are designed to provide safe and reliable performance in a wide variaty of industrial applications. Find out how the retractable housings allow sensor maintenance and replacement without affecting the running process.